Do you have a question for Adriana? She is excited to answer them on bundoo. 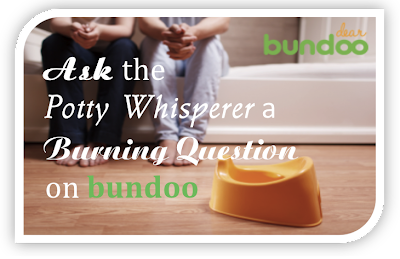 All you need to do is click on the picture, post your question and the Potty Whisperer will answer. You may also post your questions in the comments section of this blog..